Apple’s iPhone 7 will be equipped with new wireless AirPods that will use motion sensors to control these new headphones. They will also use infrared sensors to identify each of the pods and use Siri to recognize your voice. The AirPods feature five hours of uninterrupted of listening, though with Apple’s charging case, they will last up to 24 hours of battery life. The AirPods will be able to connect to various devices including MacBooks, iPads, and Apple Watches. This is probably the most controversial decision made by Apple. Removing the traditional headphone jack comes with advantages and disadvantages. The perks being that with the new release of the iPhone 7, Apple will sell millions of their new AirPods. 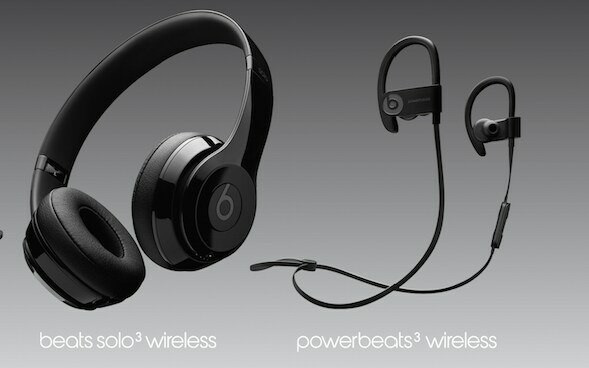 Apple has also announced the new Beats Solo 3 Wireless and the PowerBeats 3 Wireless that will be powered by the W1 chip two for the new release of the iPhone 7. Though Apple has faced a lot of controversy in the past, they will still enable traditional headphone users to continue to connect via the headphone jack. But while plugged into the iPhone 7, it will not be able to charge simulatsiously. Not to mention they will also stereo speakers for the first time within an iPhone.